The zoo's newest exhibit officially opens to the public tomorrow, Friday, March 11th! "What is this exhibit?" you ask. The Lake Superior Zoo is hosting “Future of Frogs,” an Animal Interaction Design Group (AIDG) exhibit. The display is housed in the Primate Conservation Center and will be open to the public through September 11th. This exciting display highlights the delicate future of the world’s frog population and the impact frogs have on our ecosystems. 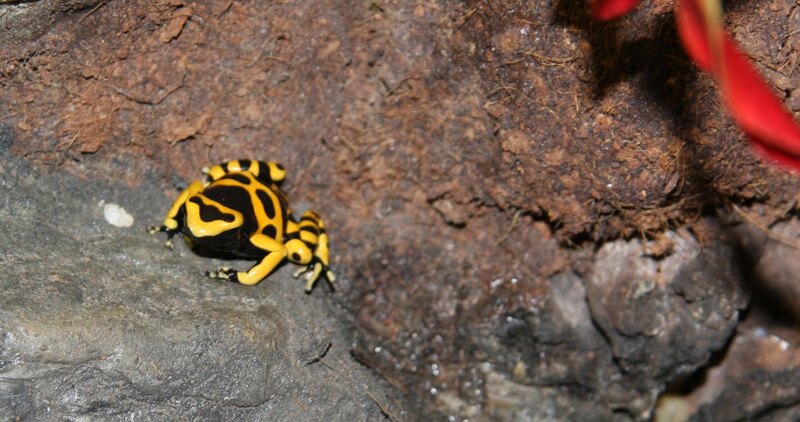 The display exhibits several species of frogs from around the world, including White’s Tree Frogs, Poison Dart Frogs, Vietnamese Mossy Frogs, Fire-bellied Toads and American Bull Frogs. Hop on in to explore the wondrous world of frogs and learn about the challenges they face. From tiny dart frogs to giant bull frogs - there's something to see, something to learn and something to do for kids of all ages. There are some species of frogs found in Asia that are known to destroy crops. I never think that they would be a pest. Kermit the frog never become a pest in their show. By making predictions of what may happen to the Cape community of frogs, we are providing information that may be typical for any animal with limited dispersal ability, including lizards and flightless insects. New Animals at the Zoo!